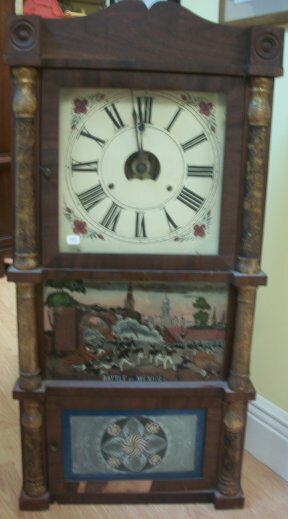 This is called a "Triple Decker" and was made by Birge and Peck and company. It has an 8 day time and strike weight movement. Close up view of the face with the door open. 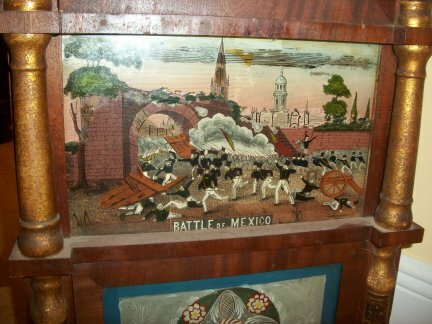 Closer view of the center tablet with the title: "Battle of Mexico", it is in very good condition. 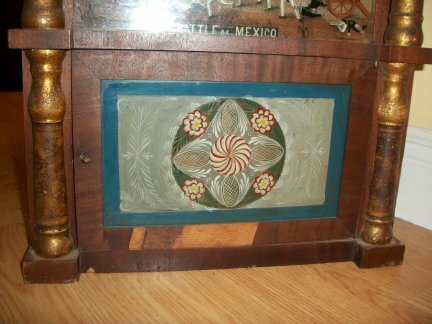 Closer view of the geometric bottom tablet, in very good condition. 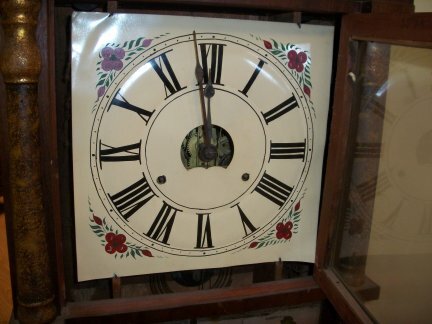 There is some loss of the bottom veneer, but overall good for it's age. 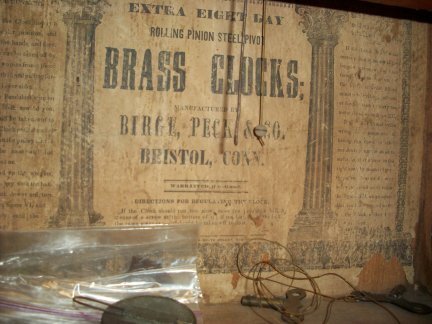 Close up view of the paper tablet of the clock.